John Brooks Slaughter, a computer scientist is a professor of education and of engineering at the University of Southern California in Los Angles. 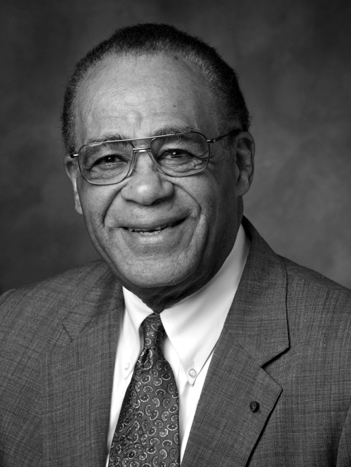 He previously served as president and CEO of the National Action Council for Minorities in Engineering (NACME); president of Occidental College in Los Angeles, California; chancellor of the University of Maryland, College Park; and director of the National Science Foundation, the first African American to hold that position. Earlier in his career he directed the Applied Physics Laboratory at the University of Washington. Dr. Slaughter is best known for his work on the development of computer algorithms for system optimization and discrete signal processing, with emphasis on application to ocean and environmental system problems. He is the recipient of twenty-eight honorary degrees and is a fellow of the American Academy of Arts and Sciences, the American Association for the Advancement of Science, and the Institute of Electrical and Electronics Engineers. He is a member of Tau Beta Pi honorary engineering society, was named to the Hall of Fame of the American Society for Engineering Education, and was the first person to be honored as the U.S. Black Engineer of the Year. Dr. Slaughter was elected to membership in the National Academy of Engineering (NAE) in 1982 and was honored by the Arthur M. Bueche Award from the NAE in 2004. In 2014 NACME recognized him with its Reginald H. Jones Distinguished Service Award. In 2015 the National Science Foundation selected him for the Presidential Award for Excellence in Science, Mathematics and Engineering Mentoring (PAESMEM), which was presented at a White House ceremony. Dr. Slaughter majored in engineering at Kansas State University. He earned a master’s degree in engineering at the University of California, Los Angeles, and a Ph.D. in engineering at the University of California, San Diego.